Prem Singh, President – Global Human Resources at Wockhardt, shares insights on the evolution of HR practices and growing needs of businesses and the impact of next-gen technologies on HR. Prem Singh is working as President--Global Human Resources at Wockhardt, where he leads the HR function, providing strategic direction towards organizational capability building and growth of the business. Wockhardt is an Indian MNC, having its presence in India, USA, UK, Ireland, France, Russia, Brazil, Japan, and several other locations. Prem is a Graduate in Mechanical Engineering; and a Post Graduate in Management from IIT Delhi. He has been in the field of Human Resources for over 25 years. 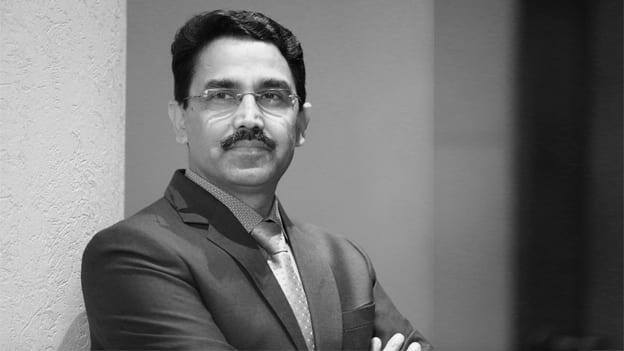 Prior to joining Wockhardt, Prem worked with Piramal Enterprises as Vice President – HR. Prem Singh, in an interaction with People Matters, shares insights on the evolution of HR practices and growing needs of businesses, next-gen HR technologies, and digitalization. Can you share some insights on how HR is transitioning to meet the evolving needs of business in the digital era? HR today is a combination of HR domain and technology. Several areas in HR are seeing the impact of technology. For example automation in hiring processes, use of AI & ML in the assessment ensuring consistency in decision making. Similarly, onboarding experiences, query management using chatbots, HR analytics, performance management, training and effective engagement of an employee with his/her work environment are the areas where technology and digital are increasingly becoming part of overall HR ecosystem. How has the role of CHROs and CEOs evolved and what is the mindset that leaders need to embody in order to actually succeed in a digital world? AI is transforming HR as a practice domain. With the arrival of deep learning, process automation, and predictive analytics, the new-age CHROs and CEOs can choose to be more technically equipped when it comes to engineer and sustain the business dynamics of a company. Leaders need to cultivate a cognitive opening to new trends in the digital domain so as to adapt and use techniques to augment otherwise digitally-naïve interventions. Technology plays a key role in helping HR leaders make strategic hiring decisions. But not many are embracing technology in a way that can translate to business gains. What’s your take? I agree. Let me share an example. Chatbots are being used today extensively to address the issues surrounding employee on-boarding and in query management in an efficient manner. Done this way, the employee undergoing on-boarding is led to getting integrally weaved into embracing the culture and ethos of an organization. Also, it gives an employee a sense of direction and individual ratification that is organizationally sustained. Similarly, advanced analytics and algorithms allow effective decision making, while dealing with a vast amount of data from disparate sources. 22% of enterprises are using AI for talent programs, and these adopters are more effective in the area of hiring and retention than their peers, says Harris Interactive study. How do you see this? Describe an instance of implementing a companywide change? What strategies did you take and what was the outcome? How do you overtake resistance? Team ONE was one such program – aimed at ensuring multiple generations work together effectively. This required engaging with several stakeholders, creating a workable strategy and driving it together. This is now an ongoing program and business heads see a lot of value in this. As the global HR head, how do you people management differently and how do align them with business objectives? One challenge lies in dealing with millennials. This breed is open to technology-driven solutions and rampant innovation. So the idea is to drive them to leverage their individual potential to ensure sustainable business growth. ‘Great Teams’ are built on differences and not similarities. I have always been a promoter of diversity in the workplace. It enriches the organization culture, a culture of learning, sharing and assimilating as “ONE”. This leads to higher engagement and emotional commitment of an associate which further translates into superior business results. Over 79% of global executives rated agile performance management as a high priority, according to a survey by Deloitte. Is it time to redesign talent practices? What are the top priorities CHROs need to tackle HR priorities to lead digitalization in their organization? With automation and digitization, you need to be able to grapple with large data, making sense of them and finally integrate them to influence productive business outcomes through speedier, consistent and effective decision making. HR champions will need to acquire more knowledge about various AI tools and how they can be streamlined and integrated with various HR processes; thereby improving the overall employee experience. But before that, we need to ask ourselves are we ready for this transformation? If not now, when? After all, it’s time to augment our existing intelligence with technology. What are the biggest challenges for HR heads, especially in Southeast Asia? Effective adoption of technology in HR and ensuring both humans and technology supplement each other will be the top challenges for HR. Other big challenges will be about team collaboration, speed, scale, and synergy.